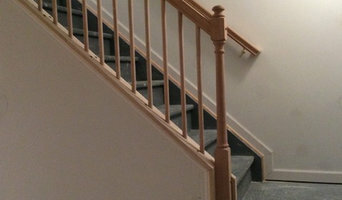 Because of our skill sets segmented into specifically managed divisions, we have a breadth of skills allowing you just one phone call to get many things done in your home - from carpentry to drywall to paint, we cover a lot of the trades that come in your home. As the Builder's Choice, for many of the top area builders, we strive to provide a high level of service. Our philosophy is to find good people who know their trade well and then work with them to teach them how to provide excellent, consistent customer service to our customers. Art by Design Interiors, LLC. has provided complete interior design services since 2006. The studio offers products from many major manufacturers of furniture, fabric, paint, wall covering & more! 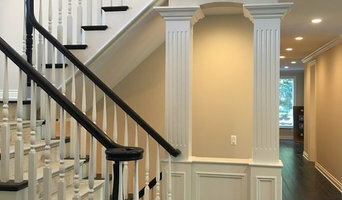 At Emery Design & Woodwork we are passionate about Architecture & design. We are a group of creative-thinking designers and builders with a strong awareness and keen eye for space and proportion. Studio Loft LLC. 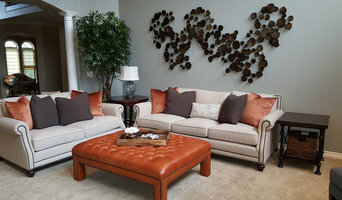 is an interior design firm located in Birmingham, Michigan We specialize in home design. Contact us for your next project! Marilynn Silberman established Studio Loft forty years ago as a full-service, high-end residential design studio in Birmingham, MI. Since then, she has become highly regarded as a top designer in the area. Her designs have been featured in numerous publications, including Better Homes & Gardens, Traditional homes, Detroit Home and SEEN Magazine, as well as many other local sources. She has a keen eye for detail which has been noticed by the top architects and builders whom she works with, and is often referred by. Marilynn's style ranges from contemporary and mid-century modern through transitional design but is always inspired by the clients personal style. She creates personalized designs by working closely with her clients throughout the entire design process. Gathering information about their needs, wants, and styles to create timeless spaces which continuously make her clients come back years later. She travels around the country to find unique pieces and frequently finds herself at design centers in Michigan, Georgia, Florida, and California, ensuring no two projects are the same. No project is too big or too small for Marilynn. She feels everyone should have a beautiful home they are proud of regardless of the scope of work. Kimberly Tomas Designs believes in satisfying the vision and budget of our clients. Our goal is to design architecture and interior spaces that match the personalities of their owner. BEST OF HOUZZ 2019, 2018, 2017 Inspired by the mid-century modern aesthetic, Exactly strives to transform spaces through the use of clean lines, color, form and texture. Hi! Welcome to my page! Hiring a designer is not easy. There should be a lot of questions. I hope you find all your answers before you start your project big or small. Please be free to call or email me to address any questions or concerns, and I am here to help fulfill your design needs. Our FYM Design approach to interior design is to marry the space with appropriate design to achieve a clean, innovative & timeless feel with details addressing to our client's lifestyle. Our goal is to make it a place of inspiration and beauty to encourage and enhance the experience and life that goes on inside them. To respect designer time, there is a small fee for consultation which will be refunded once you successfully complete the project. Design Consultation fees - For distance under 20 miles, $250. For distance over 20 miles, $350. *Authorized StarMark Cabinetry Dealer* Aldo Valitutti, founder, began learning the intricacies of cabinet making from expert Italian furniture makers while still in his teens. Cabinetry by Better Bilt was started in 1977, in downtown Mt. Clemens, which still functions as its headquarters today. He was joined in 1983, by his wife Lisa. After many years of manufacturing, Better Bilt decided in 1998 to double its showroom space and shift to offering a variety of ready-made cabinets instead of manufacturing only custom cabinets: a move that would offer more custom and cost-effective options to fit any budget. Interior Designer Andrea Yeip joined Aldo and Lisa in 2012, and continued to work as their top designer and project manager. A graduate of Baker College, with an Associate of Arts in Interior Design, Andrea’s eye for color and planning make her a natural fit for her duties in project design. She has a strong passion for creating the perfect space for each client she works with, and has shown this astute ability time after time. Her thoroughness, and strong organization skills ensure that, not only do her projects run smoothly, but the entire office does as well. Interior Designer Devon Moore joined Better Bilt in the summer of 2016. A graduate of Michigan State University, with a Bachelor of Arts in Interior Design, Devon brought with her experience in residential and commercial design. A strong attention to detail and specifications, paired with her knowledge of space planning and manufacturers’ offerings, allows Devon to create something new with each project she works on. A solid interpreter of clients’ needs and visions, she prides herself on being able to customize a space to meet and exceed all expectations. In the summer of 2018, after almost 41 years, Aldo and Lisa made the decision to retire from the cabinetry business. Andrea purchased Cabinetry by Better Bilt, and has continued to carry on the legacy that the Valitutti’s began. At Cabinetry By Better Bilt, we believe that we have a talented team of designers, suppliers and craftsmen who will treat your project as if it were their own. We pay attention to every detail, and are involved in every step of the design process, to provide our customers with quality work, complete on time, and within budget. Our team prides themselves on assisting our customers to the best our abilities, before, during, and even after, each project. Aha! Interiors is a registered, professional, full service interior design, interior architecture company. With over twenty years experience in a wide variety of projects which range from residential, hospitality, and institutional, to healthcare, government, educational, and corporate, we are confident that we can assist you with your project needs. Kathleen McGovern Studio of Interior Design has earned the reputation of being one of the region's premiere design firms and the distinction of being selected for the renovation of the Michigan Governor's Residence. Kathleen's work has been featured in Home and Design, Detroit Home, Kitchen and Bath, Gulfshore Life, Signature, Style, Michigan Blue, Styleline, The Detroit Free Press and The Detroit News Homestyle Magazine. She is the recipient of 29 Detroit Home Awards since 2004 for both Design and Use of Color. We take pride in every project from your initial estimate to supervised & timely deliveries. Full Service Interior Design Firm specializing in whole house projects. Woodcraft Customs, LLC focuses on creating custom built furniture, anywhere from live edge custom wood furniture, to mid century modern, to farmhouse style furniture. Woodcraft Customs, LLC is very passionate about what they do with all things related to wood, whether that be custom built in cabinets or a bard wood beam mantle, whatever it may be they can build! Their style is unlike any other, and can make a room come to life. With focus on the client and bringing their dream furniture come to life, they ensure the highest quality product as well. This company was built on a passion and a drive for what they do! A self-proclaimed fashionista, Jane finds inspiration on the runway and translates the chic fashion trends into interior spaces. An early career in the fashion industry was the catalyst for her signature style, defined by fresh modern spaces with relevant and timeless design. Jane's skill at artfully blending upscale style with forethought and imagination has made her a trendsetter with a genuine desire to create beautiful yet functional spaces. She loves working in a variety of styles and aesthetics, never getting too comfortable with a particular "look". Jane has the unique skill of expressing clients’ personality and style as well as the expertise to efficiently organize and execute their vision with a professional process. Jane’s enthusiasm and contagious energy can make the design process fun and stress-free. Whether they are renovating older, classic spaces or it’s new construction, her clients trust Jane to create stylish interiors that become radiant through an evolving language of materials, a refined poise of detail, and the delicate play of pattern and texture. 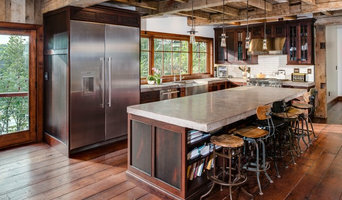 World Wide Cabinets incorporates over 30 years of experience into producing superior workmanship in custom cabinetry while maintaining a high standard of design. Knowing what works and which materials to use makes all the difference in creating beautiful cabinetry. Our staff are experienced experts in their particular phase of the complete design and installation process. MaryBeth Wilson has worked in the construction and design industry since 1993. Her technical knowledge and design abilities enable her to solve design problems and implement solutions that fit the needs, desires and budgets of her clients. MaryBeth specializes in residential design,and kitchen and bath design, paying careful attention to quality, function, and beauty. Her sensitivity to the lifestyles of her clients provide design solutions compatible with the way her clients live. Full Service Interior Design Firm. From the moment Wanda Brown conducts a client consultation to the unveiling of her latest design, her over twenty years of design experience takes center stage—instilling a quiet confidence that clients have come to appreciate. Her keen attention to detail, affinity for quality pieces and uncanny knack for precision is why clients return and often refer her to their friends and colleagues. Wanda Brown holds a BS Degree in Interior Design and is NCIDQ Certified (ncidq.com). Her work has been featured in the HomeStyle Section of The Detroit News & in several Designer Showhouses.